Former Labour Party councillor Gabriel McSharry will run as an independent candidate in Sligo-North Leitrim. 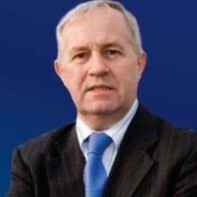 McSharry, who had been influential within the Labour machinery of North Leitrim, left the party in 2006 after it became clear that he would not be added as a second candidate in the constituency. The Manorhamilton man is a lecturer in the Tourism College, Killybegs. McSharry is a qualified chef and was part of the judging team at the inaugural World Irish Stew Championships which took place last year.